Note that both the Proverbs 31 woman and Job feared God. Their good qualities brought glory to Him. Praising man and praising God may seem inconsistent at first, but we ought to praise others when the good they do reflects the glory of God. Sam Crabtree, author of Practicing Affirmation wrote, “Good affirmations are God-centered, pointing to the image of God in a person. The only commendable attributes in people were given to them. Everything is from God, through God, and to God so that in all things—including the commendable qualities in people—he might get the glory: “‘Who has given a gift to him that he might be repaid?’ For from him and through him and to him are all things. To him be glory forever. Amen” (Romans 11:35). When we see good qualities in others and intentionally don’t praise them, it is sin (James 4:17). 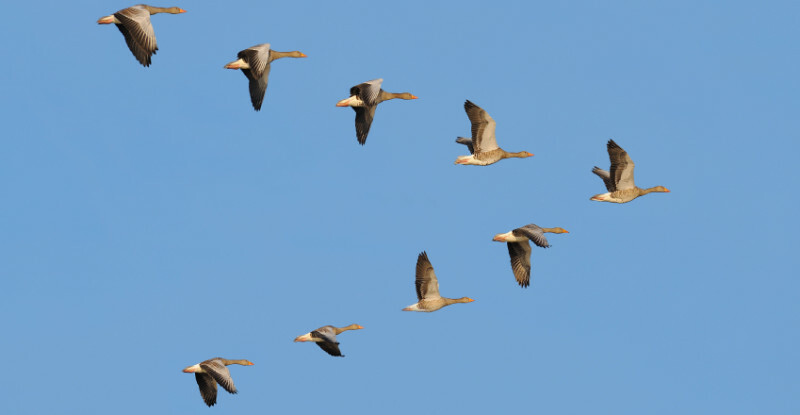 As Sam Crabtree noted in Practicing Affirmation, a smelly skunk tends to work alone, while a flock of geese move together, honking encouragement to one another. Whether a believer or not, when you see those around you exhibiting qualities that reflect the glory of God, praise them! It is a Godly practice to follow (1Timothy 4:7).